Dr Wayne W. Dyer and co-author Dee Garnes had often talked about how the ones who know the most about God are those who have just recently been wrapped in the arms of the Divine: our infants and toddlers. In fact, Dee had an interaction with her own young son that convinced her of his acquaintance with our Source of being. Curious about this phenomenon, Wayne and Dee decided to issue an invitation to parents all over the globe to share their experiences. 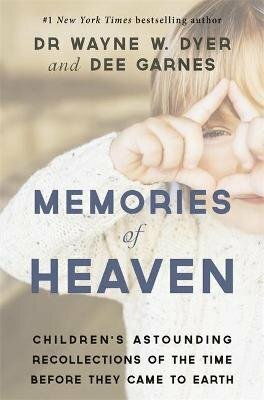 The overwhelming response they received prompted them to put together this book, which includes the most interesting and illuminating of these stories in which boys and girls speak about their remembrances from the time before they were born. Children share their dialogues with God, talk about long-deceased family members they knew while in the dimension of Spirit, verify past-life recollections, give evidence that they themselves had a hand in picking their own parents and the timing of their sojourn to Earth, and speak eloquently and accurately of a kind of Divine love that exists beyond this physical realm. This fascinating book encourages all of us, not just parents, to take a much more active role in communicating with our planet's new arrivals... and to realize that there is far more to this earthly experience than what we perceive with our five senses.